The Spring Meeting at Lainston house was a great success. St Julian Scholar Antonio Lopez-Bustos the General Manager, was an excellent host, and his team at the hotel could not have been more welcoming. 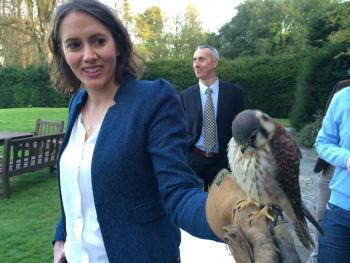 The beautiful setting of the property provided a restful backdrop to the meeting, where the delights of a falconry display, as well as a wine tasting over dinner, interspersed the more formal aspects of the gathering.